Celebrate all things Texas at our online Texas flag store. 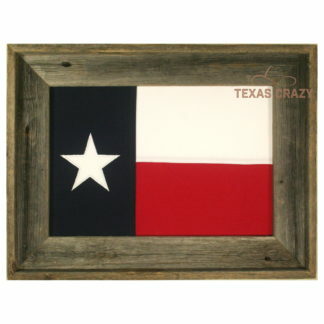 Our reclaimed wood barnwood framed flag frames for wall décor are hand made right here in Texas of enviro-friendly reclaimed wood (reused wood has more character, which is perfect for that rustic or ranch casual den or home office wall). 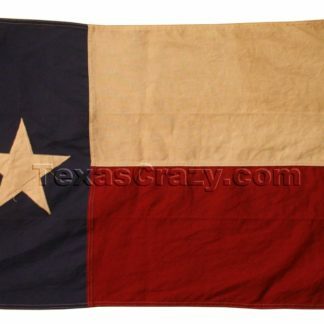 Because we are Texas Crazy we offer BIG framed flags: both large 2 x 3 foot flags and extra large 3 x 5 foot flags. In addition we offer custom frames in a gold chocolate, should you want a flag for a more elegant office or home entryway. We offer UV friendly commercial grade Texas outdoor flags for those windy Texas days, and custom antiqued flags of the US and Texas, when you want to celebrate Texas or the US patriotism on a special flag flying day. Choose from 2 ply polyester, and sewn applique silk screened outdoor Texas flags and custom antiqued cotton Texas historical flags. Featuring framed Texas flags, Framed US historical flags, Framed college flags of Texas, Texas outdoor flags, and Framed US Military flags.